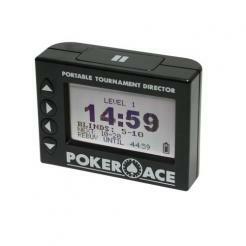 The Poker Ace PTD (Poker Tournament Director) is more than a poker timer. It is a totally programmable tournament manager. There are 8 pre-programmed tournament structures or you can create your own customized settings and save them for future use too! The Poker Ace PTD will make your life easier if you host home tournaments. It's small size makes it very portable. Take it with you. 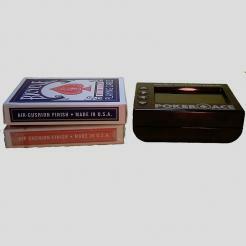 Will fit into a playing card space in your poker chip case. 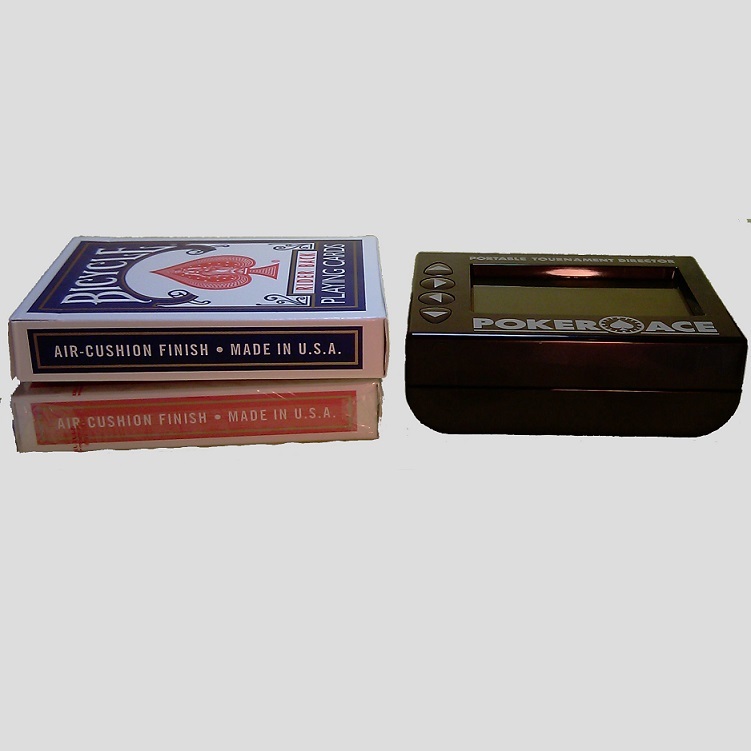 The Poker Ace PTD runs on batteries, so it can be used anywhere and there are no cords to get tangled or trip over. It is about the same size as a deck of cards. The LCD display is back-lit which makes it very easy to read.